Grace Taylor has literally grown up in our K2 Martial Arts Children’s program, she has applied herself to her martial arts lessons day in and day out, her attendance has been golden and now she is in the process of grading for her Black Belt. Jiu-Jitsu like karate and other martial arts requires years of devotion, Grace is now entering her 9th year of training. She reviews her progress and achievements in the following post. “November 2004 was my first class at jiu-jitsu. I will never forget what Renchi Scott told me as he presented me my white. He told me that your white belt is the beginning of a journey, that no one could get where they got without getting their white belt first. He said that white belt symbolizes courage. He was right, I get that now. My white belt was the beginning of my jiu-jitsu career but it was more than that, it was the beginning of friendships, relationships, courage, devotion, and dedication. When I was eight years old I had finally found something I enjoyed. I had done ballet and did not like it but was also bullied a lot. I had tried swimming but again did not like and was bullied. Eventually I tried Tae Kwan Do with my school. I really enjoyed Tae Kwon Do, I was a yellow belt when they stopped offering it with my school. I one day was talking to my grandparents and there friend Jules Ladouceur. Jules was an eight degree black belt in jiu-jitsu. He was my inspiration for joining jiu-jitsu. When I joined jiu-jitsu it was not like anything else. The people there were so kind I quickly made a lot of friends. 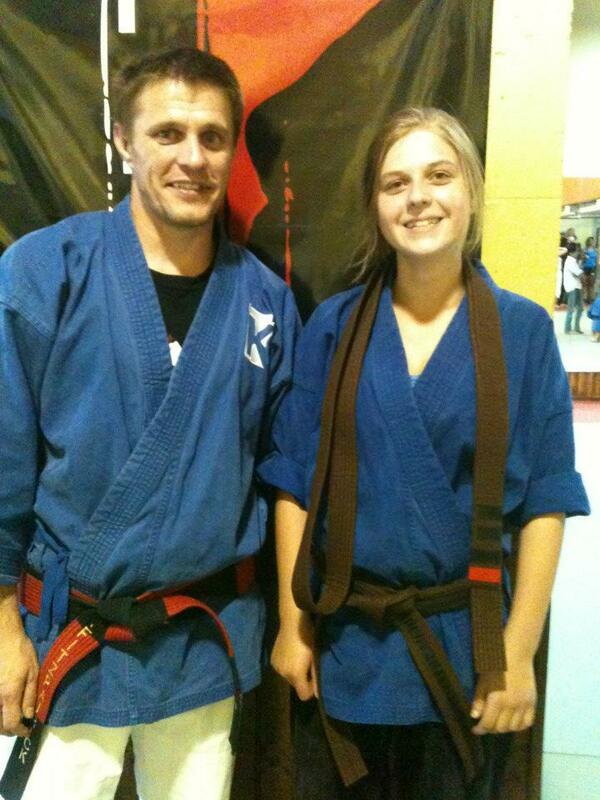 When at jiu-jitsu if anyone ever did not get something someone would quickly go over and help them it was great. Everyone was so kind it just made me feel welcome and accepted. When my test for my yellow belt came up I was so nervous as it was my first test on testing day. But the friends I had made helped me. And the Sensei’s were so kind it helped me feel confidant. This memory always make me think back to when I received my white belt. All those first classes when you do not know what is going on, all the tests, even classes now take courage. It takes courage to learn something new and it take courage to test yourself. Now that I am going for my black belt I have realized how much determination and dedication it takes to do jiu-jitsu. Last year I was going for my brown belt I had had a very bad day. I was not feeling well and I was extremely anxious. I had freaked out in the morning and was ill so I spent the entire day in bed except my belt test. I tried my best and I passed, I was so proud of myself I have never been that determine before. Ever since just before my brown belt unless I was contagious or had broken limbs I have gone to every class, at least twice a week. It takes so much dedication to practice martial arts, this is something I am glad that I to have learned. Great article Grace – we are so proud of your hard work so far and we are looking forward to seeing that blackbelt around your waist!